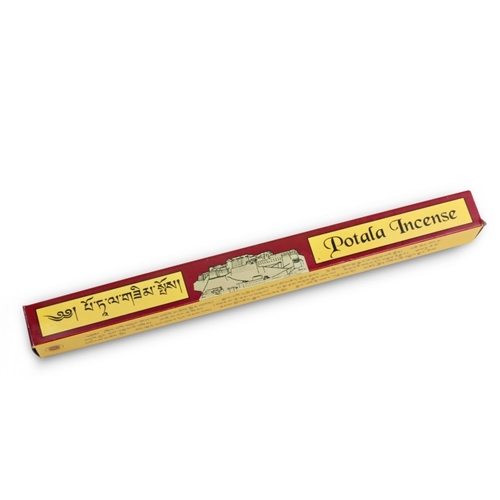 Potala traditional TIbetan incense is hand prepared from highly flavored medicinal herbs and other precious substances. Generally used for puja offering and purification, also used to keep one's surroundings flavored with good scent. Box of 25 10" incense sticks.